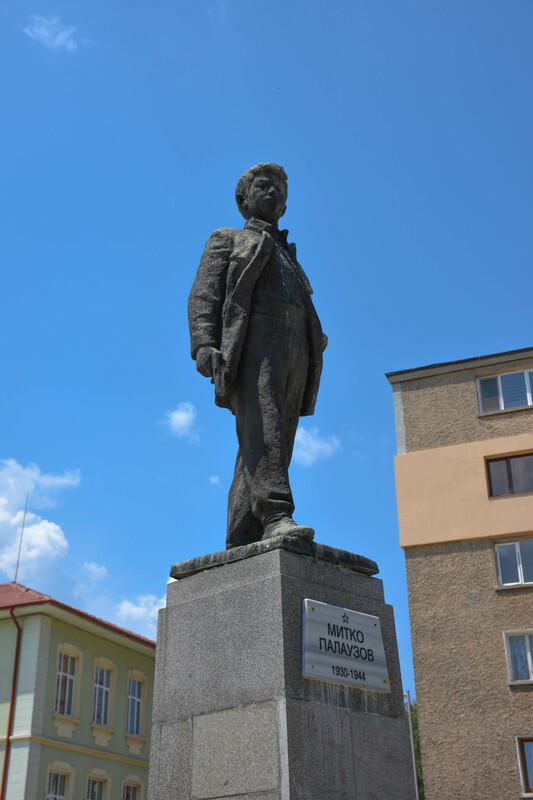 The story behind the monument to Mitko Palauzov is an excellent example of how the Bulgarian Communist propaganda worked. Shaped after the Soviet children’s books hero Timur, the myth of the child partisan fighter remained strong until 1989. The monument depicts a child with a gun, on a pedestal, covered with reliefs. The depicted boy is Mitko Palauzov. He is the protagonist of several books, based on a real story. The boy was born in 1930 to partisan parents and was helping them in their fight for communism in the early 1944. He went into hiding with his parents in the mountains, as all partisans did at the time. He had a personal pistol, helped with The Cause, and was killed by a bomb in a partisan shelter. What makes this monument sad and scandalous at the same time is that the story was a lie, a fiction. It was a myth the Communist party had created. Yes, Mitko died as one of the partisans but his parents had dragged him to the shelter: he never had a choice, let alone take initiative and be active in the fighting. The Party needed their mythology and ideals to be present in people’s lives; they needed role models that could be followed, honoured and ritualised, for all the people, for all ages and social classes. So, they borrowed from a Soviet example: Timur, a child hero from children’s books. Mitko represented the children’s part in “Idolizing the Leader”. The story was а widely spread one; there is even another monument, at the place of the partisan shelter where Mitko, his mother and 6 other partisans were blown up. 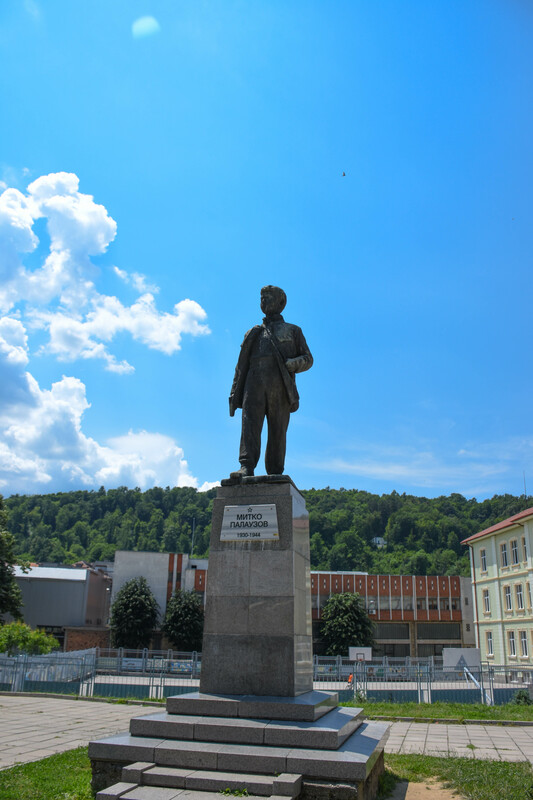 The monument is in the centre of a park, close to the school Mitko attended, and it used to be the site of annual rituals and commemorative gatherings. The house the Palauzov family had rented for a while was declared to be their home, made government property and turned into a museum. Mitko’s father and his younger brother, who survived the 1944 changes, were forced to live there and be part of the myth–revisiting and repeating the myth of their loss over and over again. The ritual function of the monument was lost after the Communist party fell in 1989: no one went to see the monument, there were no more events, and slowly it began to decay. Its reliefs are long gone. There were a lot of people who wanted the monument taken down. Few people notice the pistol anymore, and how strange it is to have this monument in front of a school. What the people mostly want is a new playground built there. And of course, any remembrance of the Communist ideology out of their public space.